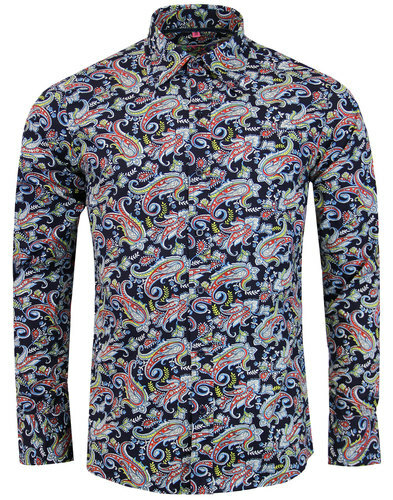 Madcap England 'Tabla Paisley' Men's 1960s Psychedelic paisley print shirt with classic Mod button down point collar. The classic red ground is elevated by a striking Retro colour palette of navy, teal, black and white. Intricate swirling paisley motifs and sporadic floral details create a vibrant Retro shirt that is perfect for that psychedelic look. 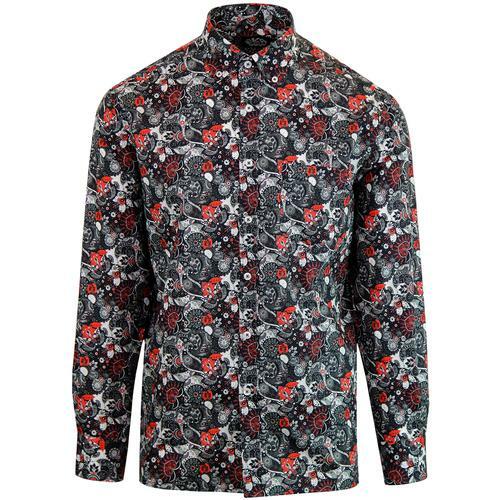 Inspired by Eastern influences of 1960s British fashions, the 'Tabla Paisley' men's shirt conjures up images of The Beatles in Rikishesh, Pink Floyd at the Middle Earth Club and the liquid light shows of the psychedelic eras underground music scene! 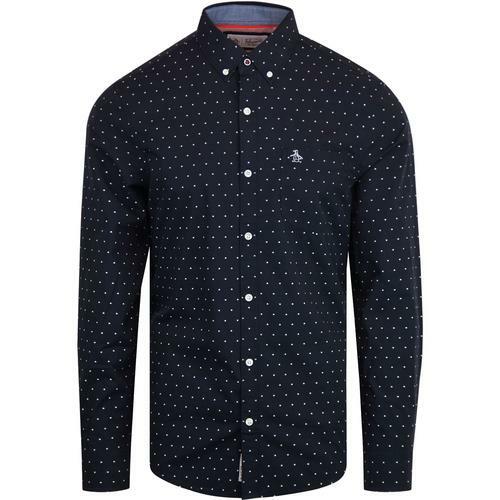 Bold retro paisley patterns on the classic men's mod button down shirt - 'Tabla Paisley' shirt from Madcap England. 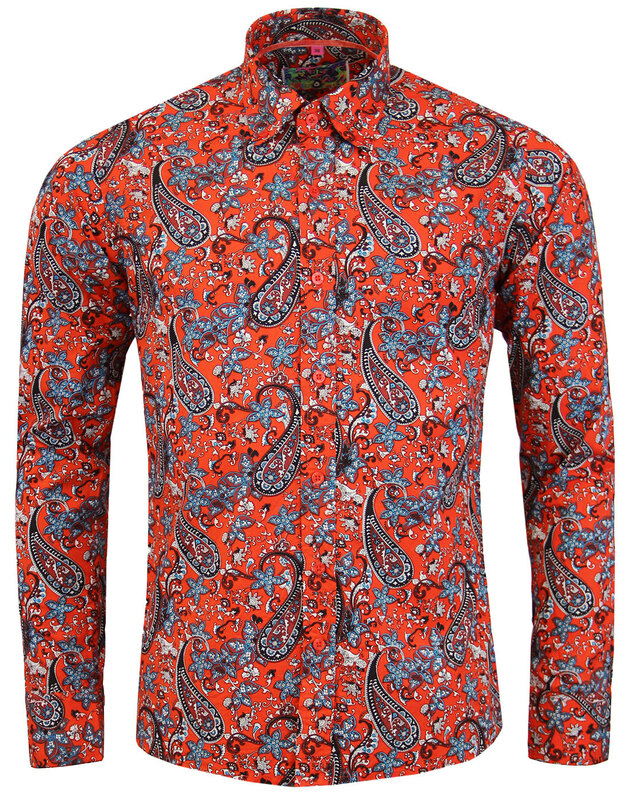 - Madcap England 'Tabla Paisley' men's 60s mod shirt in red. - Psychedelic paisley floral motifs in navy, teal, black and white. 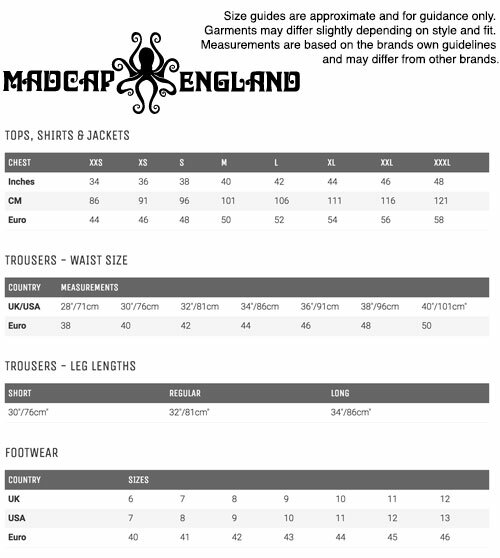 - Madcap England subtle signature buttons. 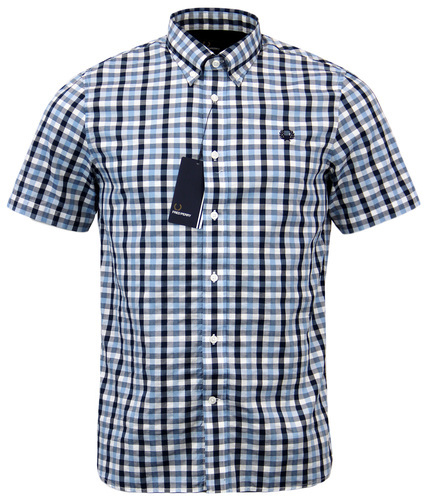 - SKU: MC320 Tabla Paisley Shirt.